PA Chairman reacts to disappearance of three yeshiva students, says the PA will assist Israel in the search. 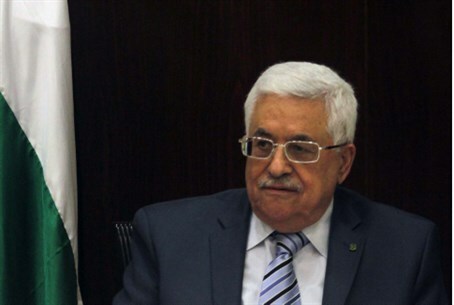 Palestinian Authority (PA) Chairman Mahmoud Abbas reacted on Friday night to the disappearance of three yeshiva students near Hevron and said that the PA would assist Israel in the search. The statement comes after Prime Minister Binyamin Netanyahu’s office said it held the PA leadership responsible for the boys' disappearance and possible kidnapping by terrorists. Netanyahu later spoke with U.S. Secretary of State John Kerry and reiterated this stance while noting that the disappearance was directly related to the unity government between Abbas and Hamas. Earlier on Friday, a spokesman for the PA’s security services said that the PA was not responsible for the three students’ disappearance. "Three settlers are missing, why is this the fault of the Palestinian Authority? We have nothing to do with this issue,” the spokesman said. “If a natural disaster hits Israel, would we be responsible? This is mad and unacceptable, we have no knowledge about this,” he added. Israeli security forces are continuing the search for the three students, with whom all communication was lost as they were on their way home from the yeshiva, located in Gush Etzion, roughly between Jerusalem and Hevron in Judea. Security sources suspect they may have been taken into a vehicle driven by terrorists that stopped for them as they waited at a popular hitchhiking spot.